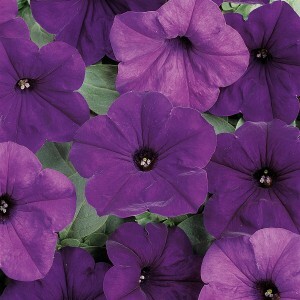 Easy Wave Petunias have flowers that are around 3 inches across and will engulf the green foliage with a mass of color. 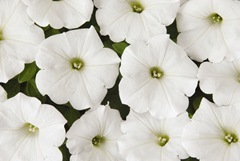 One of the best attributes of Easy Wave Petunias is that they have the same great spreading habit as Wave, but with a little more height. 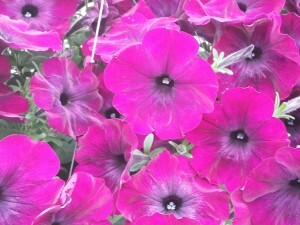 You can also plant them just about any location where you want loads of bold color! 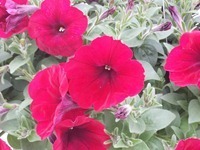 They are more heat and cold tolerant than other varieties which means that you will have more blooms all from spring until fall. 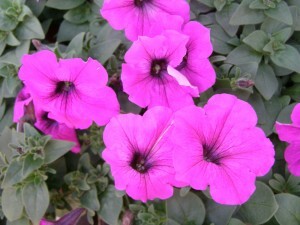 Petunias can also be planted in early fall to fill in when it is still too warm for pansies. Recommended Spacing: Plant 10″ to 15″ apart. 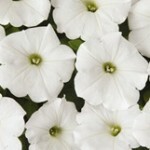 Height: Grows 6″ to 10″ tall. Outstanding Features: Easy Wave Petunias have a more mounding habit than regular Waves. 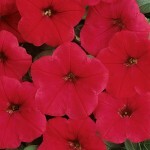 Tips: Cut back occasionally as needed to promote new growth. 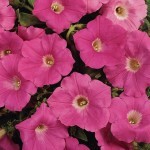 “Enclosed images may be reproduced only in connection with the marketing of Ball Horticultural Company products. The correct variety name as listed on the enclosed images must be used in connection with any reproduction. Images may not be licensed or resold. Any unauthorized use is prohibited.